Albany Ronald McDonald House provides a haven of comfort, love, hope and support – free of charge – for critically ill children and their families. We want to enable family-centered care by keeping children close to their families during a time of hardship. The Family Room and Family Suite offer families respite and support within the Children’s Hospital at Albany Medical Center, close to their ill child and his/her caregivers. 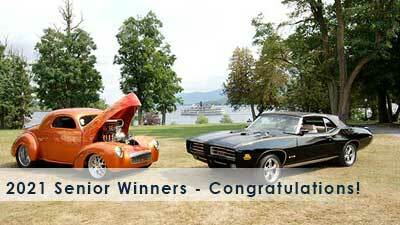 The 2019 show vehicle Registration is now CLOSED. See you all at the show! Parking at the Lake George "Million Dollar Beach Lot" will be available for the first time, as will "Water Slide World" for use during the Adirondack Nationals Show. Stay tuned, as updates come in we will do our best to get the information out. Bogi first succeeded at working as a professional mechanic and owning her own automotive repair shop before beginning to host “All Girls Garage” when the TV Show launched in 2012. 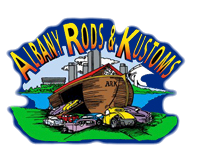 We are pleased to announce that the Albany Rods & Kustoms ADIRONDACK NATIONALS KICK OFF PARTY on THURSDAY NIGHT... is back by popular demand! In conjunction with Fort William Henry we will be hosting the party in our tried and true fashion! Dust off your fanny pack, And tease up your hair, Grab your acid wash jeans, To be there or be square! That’s right its back to the Eighties, For a Kick-Off party that’ll be crazy! Get ready to relive the 80's (costume/dress encouraged) with us from 7pm to 10pm! 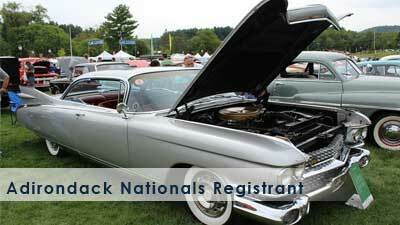 Please join us and start the Adirondack Nationals off dressed up and enjoy the first night festivities and music. 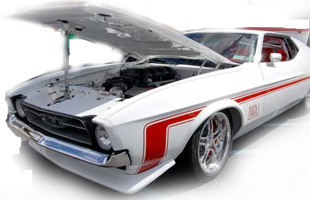 Geared toward automotive related items such as parts, equipment, services, etc. Features non-automotive vendors offering a variety of items and is a fun place for people to take a break from the cars. Try your luck in our Prize Raffle! Win one or more great prizes! The cruise route is north to south, and back, on Route 9 through the Lake George Village ONLY. This is the cruise route most everyone will remember and is now based on changes to the roadway through Lake George village. NOTE: Portions of Route 9 will be closed to local traffic during Friday and Saturday night cruising. » For additional Cruise-In information, rules etc. » Visit the Albany Rods & Kustoms website for more information.